From cultural festivals and restaurants serving up Indonesian specialties like nasi rengang, here’s how to get a taste of Indonesia in Houston. 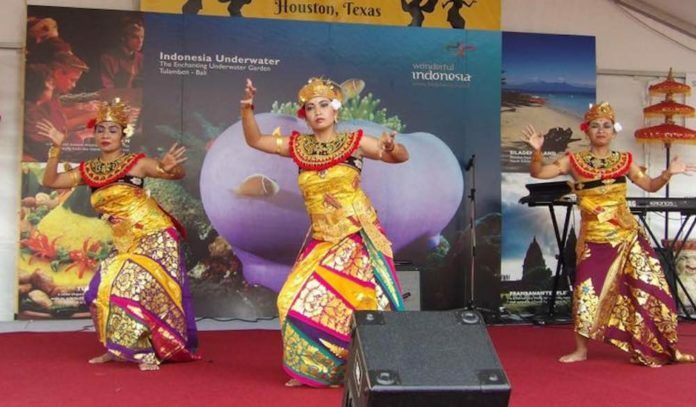 Indonesian Festival – Taking place in the fall, this cultural festival celebrates the rich heritage of Indonesia, featuring an Indonesian fashion and jewelry show, culinary and merchandise bazaar, coffee tasting, fun photo booths, music and dances performance and more. AsiaFest – Held in the spring, AsiaFest celebrates Asian Pacific American Heritage through community performances, fusion cuisine, creative activities, art and vendors, and cultural exhibitions. 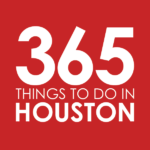 Asia Society Texas Center – The Asia Society Texas Center focuses on enriching and engaging the vast diversity of Houston through innovative, relevant programs in arts and culture, business and policy, education and community outreach. Look out for a lineup of programs and activities, including film festivals, family days, culture camps, student programs, art exhibitions and more. Asian Pacific American Heritage Association – Formed in 1992 and serving the Greater Houston area and beyond, this heritage association strives to promote awareness and increase understanding of the Asian/Pacific American culture and its diversity through education and celebration. The group focuses on May, Asian Pacific American Heritage Month, and continues with programs, events, and educational opportunities throughout the year. Arts of Asia at MFAH – The Museum of Fine Arts, Houston hosts an Arts of Asia collection spanning nearly five millennia and encompassing cultures across the continent, including Southeast Asian art. Raki Restaurant – You’ll find Chinese, Japanese, and Indonesian eats at this Missouri City spot. Dig into homemade fish cake with peanut sauce, pastel (Indonesian fried pastry), ayam bali (Balinese spicy chicken), and soto betawi (Betawi beef soup). Red Wok – In Westchase, this Chinese and Indonesian spot offers specialties from lumpla semarang (Indonesian egg roll) and ikan bakar (spicy bbq fish) to nasi rengang (beef stew) and nasi goreng (Indonesian fried rice). Rice Bowl – With locations on Fondren, Bellaire and in Katy, Rice Bowl specializes in authentic Indonesian cuisine. Dine on rendang sapi (beef chunks in coconut curry), bakmie ayam (housemade noodles), cah buncis (stir-fried spicy green beans), and ayam goreng mentega (fried chicken in sweet, buttery sauce). Mama Yu – This fan-favorite Indonesian bistro announced’s temporary closure until further notice, but look out for updates to see if it returns on Facebook. 99 Ranch Market – Hit any of the three Houston-area locations of this Asian to shop for everything from noodles and coconut milk to peanut sauce and sambal. Hong Kong Food Market – This colossal market in Chinatown’s Hong Kong City Mall spans the continent of Asia, offering tastes of China, Japan, Thailand, Vietnam, Korea, Indonesia, and Malaysia. Super H-Mart – This bustling food emporium specializes in Korean, but you’ll also find a wonderland of ingredients that span Asian cuisines. Hit it to find fresh fruits and vegetables; live, fresh and frozen seafood; quality meats; imported snacks, candies, sauces and spices; varietals of noodles and rice; and in-house baked goods. Don’t miss the food court options if you’re hungry. Indonesian American Chamber of Commerce Southeastern Central USA – This non-profit promotes and develops economic opportunities to Indonesian-American corporations, small businesses, entrepreneurs, and professionals between Indonesia and the United States. Look out for networking events online. Pencak Silat at the Houston Martial Arts Academy – Learn the traditional martial arts of Indonesia with a Pencak Silat curriculum, which covers self-defense, breath work, yoga, physical conditioning, and meditation.